We had a break at Ian and Janet's "shack" at Teal Flat on the Murray River, just North of Mannum in South Australia, between Christmas and New Year. 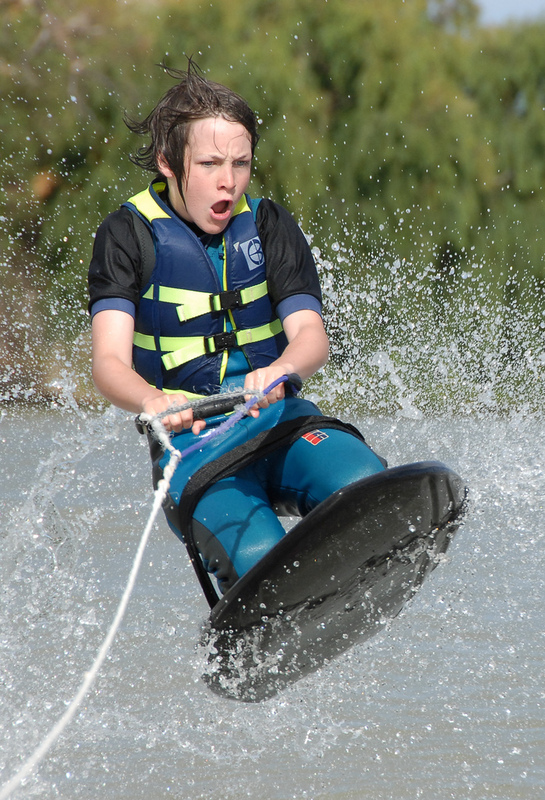 Alex just loves the "knee board" as you can see. Thanks heaps to Janet and Ian for yet again a great time was had by us. True friends.